7. Februar 2018 9. 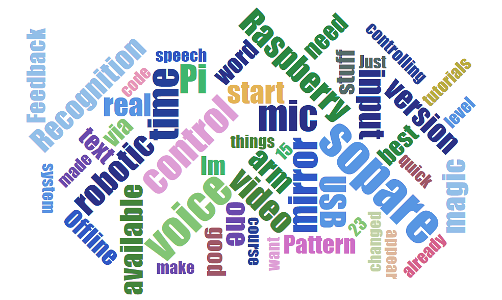 Februar 2018 by bishoph	| Categories: Raspberry Pi, voice recognition | Tags: raspberry pi, SoPaRe, speech recognition, voice control | Bookmark the permalink. Hi Martin, is there any step by step tutorial available for SOPARE? I would really like to test this amazing project. Hey. In my opinion the first steps and even a bit further is covered in the available posts and videos. However, some people are asking for some more detailed steps in terms of installation…this topic is on the list for the next upcoming tutorial. Thanks a lot for your work by the way. thank you very much for this great work. 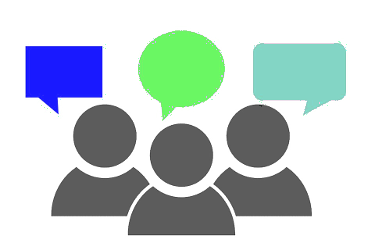 This is the first offline speech recognition I found, that works without any problem. Thank a lot for sharing sopare. i am a student, my project is home automation through voice recognition. i have successfully installed SOPARE in raspberry pi 3.
let me guide how can config commands like light on, light off etc. i am using usb microphone. i am humbly request to u please guide me for further action. i am waiting for your positive response..
i m student i want to train SOPARE in my local language can you please guide how can i send commands in urdu then sopare translate or how can config commands like light on, light off etc. i am using usb microphone. i am humbly request to u please guide me for further action. Hi. You can train SOPARE in your native language and you can set the ID as you want. Just make sure that the character encoding works in the command line. As I’ve never developed using India encoding here is my advice: Start by using ASC IDs (English words like light, on, off) and train SOPARE by speaking your native Urdu language to avoid encoding errors and issues and to get first results. Thank you for this project! Is there a way to handle empty results like  so that sopare will restart. results returned  so restart sopare: sudo ./sopare.py? You are welcome. Instead of restarting you should fix the hang up problem. If you have a custom plugin with complex handling you need to decouple it from the thread that calls it. Think about a fast, small and lightweight plugin that calls (or initiates or communicates with) the complex thread (or external process).